Other remote-control apps for iOS and Android can't quite do what this app can do. An update to the Remote Desktop Preview app should theoretically allow you to run any Windows 10 app via the Continuum function built into Windows 10 Mobile. 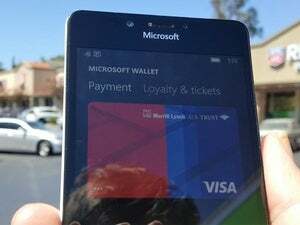 Microsoft released version 844 of its Remote Desktop Preview app on Wednesday for Windows Phones. If you have a phone that supports Continuum—the Lumia 950 or Lumia 950XL, for example—you should be able to run a standard desktop app on a remote desktop, powered by your phone. Let’s back up for a bit. Recall that Windows 10 Mobile includes a technology called Continuum, which is only found on Microsoft’s latest phones, the Lumia 950 and Lumia 950XL. 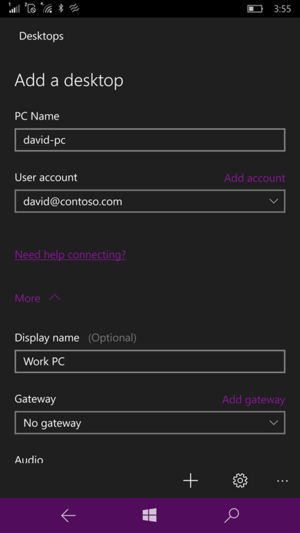 When the phone is connected to the Microsoft Display Dock, Universal apps—and only Universal apps, such as Mail, or Edge, or Calendar—can be run from the phone onto an external monitor, filling the screen and providing a desktop-like experience. Why this matters: With Remote Desktop, users can run apps that are stored on a remote PC on a local machine—in this case, a Windows phone. Normally, this would force you to navigate a Windows 10 desktop view via the relatively tiny confines of a phone, pawing at the interface with a finger. But because Remote Desktop Preview is itself a Universal app, with Continuum and a Display Dock you can project that interface onto a monitor. It essentially reproduces working on a remote, home desktop PC on a monitor in front of you—all via your phone. The Remote Desktop Preview app for Windows 10 Mobile. Installing and configuring the RDP preview app on my phone took far longer than was probably necessary for experienced users, as I ran into issues where the phone app couldn’t find my remote PC. My firewall appeared to be the problem. Finally, though, it worked. For fun, I tried loading a copy of Far Cry 3 I had installed on my remote PC. 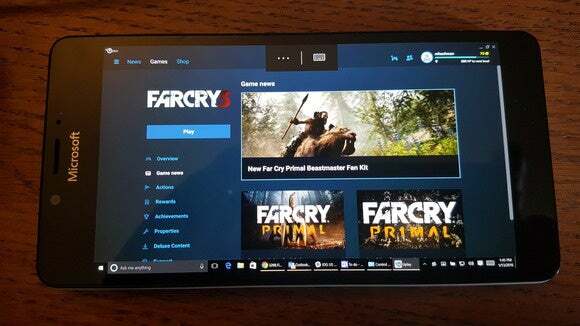 While I was able to navigate to the game itself and load it, it was unable to find a “suitable display resolution” and actually load—not the fault of the Microsoft app, but of the game itself. I then discovered I was missing that USB-C to USB-C cable that I needed to connect the Lumia 950 to the Display Dock. Doh! Otherwise, however, I was able to navigate across my remote desktop relatively smoothly, though I would have benefited greatly from an attached mouse. Provided you have the correct hardware (and cables! ), RDP can certainly serve as a handy remote-access tool for professionals. The difference between this and every other remote-access app available for iOS and Android of course, is that using those apps is very much a mobile experience. With a Display Dock and a new Windows 10 Mobile phone like the Lumia 950, you can access that remote desktop...on something akin to a local desktop, too.